I would start with the best, most succinct “How To” guide that I’ve read on the subject: “How to Make Perfume Hobby Affordable and More Fun.” It is written by Victoria at Bois de Jasmin, and is well worth the read. I will emphasize a few of her points which I will post, out-of-order, because I think they are key. And, in addition, I will provide a number of my own suggestions and tips. 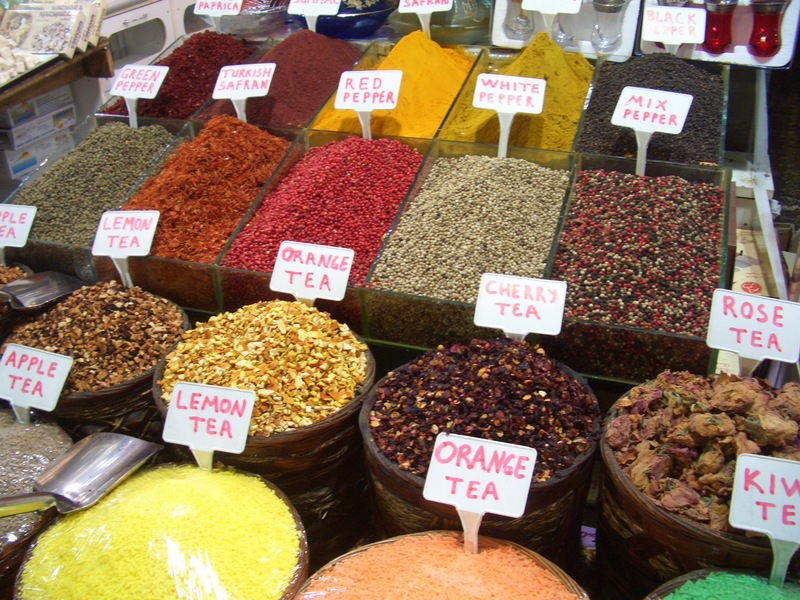 Try roasting some of the spices to see how the aroma may progress or change. Take a bottle of Cinnamon, All-Spice or Cloves, give it a whiff and then try putting on a dash on your wrist where your pulse point may bring out the heat. See how your body chemistry impacts the smell, especially over the course of an hour (or four). Cumin is in a lot of richer, more spicy perfumes, and you may be surprised to see how it works on your actual skin and how the smell can change over time. That earthy smell can be very similar to the “skank” that perfume bloggers often talk about. 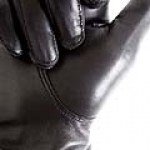 leather is in a lot of perfumes, whether vanilla niche ones like Tom of Finland from Etat Libre d’Orange or in more mass-market perfumes like Ralph Lauren‘s Polo. You may want to also compare the smell of your new purse to that of an old leather jacket, leather gloves, or suede purse to see you can detect differences in the leather. Next time you go to IKEA or a furniture store, stop by the wooden chest of drawers, open them and give the inside a whiff. So many perfumes nowadays have wood notes and — while you may not have access to things like the agarwood in Oud or to sandalwood — you can train your nose to pick up wood notes, even if they’re fresh and light ones. the skin. Smell it when it’s just fresh and zingy, and compare the smell to that of the pulp inside. The oils in the rind should make a difference in the way the note translates: either more bitter, more zesty, more concentrated or more aromatic. If you go to an Indian restaurant and order a curry or pilau rice dish, take a few moments to just sniff it with your eyes closed. See if you can detect any cardamom, cumin or coriander in the curry. The rice may well have saffron in it and, for those of you who don’t have saffron in your kitchens, it will enable you to become familiar with a note that is increasingly common in perfumes. Do you ever go to a garden nursery to buy plants, out to the countryside, or to a farm? If so, use those opportunities to give a sniff to the orchid flower, and particularly, to any trees they may sell, any moss or peat that is lying around, or to any hay. Those green or woody notes are some of the most common bases in perfume! The point of all this is to show you that it is really easy to train your nose once you are aware of how many perfume notes are all around you. Once you’ve done all that and have your notepad before you, close your eyes and take a deep whiff of your arm (or wrist). Hopefully, you’ve put perfume on different places on your arm, so you can see how the smell may develop on areas that aren’t pulse points. Personally, though I put perfume in dabs and smears all up and down my arm, I prefer to smell from the area near my bicep. Don’t ask me why, it doesn’t make much sense, but that’s my preferred place. As you sniff, glance at your list of the perfume’s notes. Do you smell any of the things listed? Is the first thing that you smell something that is listed as a “base” ingredient? If so, don’t worry. If something is in the “base,” that generally just means that the ingredient’s molecules are heavier than the rest so that they will linger on the skin longer. (It’s a bit more complicated than that but that is the gist.) Just because something is listed as a “base” note, doesn’t mean that you will only smell it at the end of a perfume’s development. Plus, skin chemistry can be wonky and can make perfumes differ from person to person. In other words, don’t think your nose is “off” or “wrong” just because you smell something right away that is listed as a “base” or that others smell much later. Reading up on your favorite perfumes is useful for another reason: it will let you know if there are any notes that you’re particularly drawn to. A blog friend who has a lovely fashion blog, Style My Dreams, recently read my review of Chanel‘s Sycomore, had a light-bulb moment and went to look up some of her perfumes on Fragrantica. As she wrote to me, she suddenly realised many of her favorite perfumes had Vetiver in them! Do any of your favorites have a common note that you never realised before? It may help you to learn if you do, especially when reading perfume notes in the future. Once you’ve trained your nose a little, learnt what family of perfumes you prefer, and given a sniff to some of the classics at your local department store, the next step is niche perfumes. But they’re not cheap, and you won’t find them in your local Macy’s or Sephora. A large number won’t even be available at Saks, Neiman Marcus or Nordstrom! What I would do is: read some blog reviews, see what tempts you, and then hit the sample sites. These fragrances are far too expensive and, in some cases, edgy for you to risk a blind purchase. Plus, you never know how something will develop on your skin. What it smells like in the ten minutes may not be how it ends up after three hours or even six hours. So, buy samples first! You have a number of different options. Places like Surrender to Chance (my personal favorite and choice, due to the lower shipping cost), Luckyscent, The Perfumed Court, Aedes, and The Posh Peasant all offer samples of niche perfumes that may not be otherwise accessible to you. And Surrender to Chance ships worldwide for a really reasonable $5.95 on most international orders! (It’s a little bit higher if you’re ordering over $75 of perfume samples, but it’s still something decent like $7.95.) Within the US, you really can’t beat their $2.95 shipping rate on any and all orders, big or small. In Europe, there is First-in-Fragrance and Suendhaft. In the UK, you can order samples from Les Senteurs. In Paris, Jovoy is a mecca for haute niche perfumes, and I’ve read that they’re happy to send you home with samples if you’re unsure of a fragrance. Another affordable way to buy expensive perfumes is to join a group of fellow perfume fanatics. These groups will either let you swap samples with other members or give you the chance to buy a large decant of a perfume. Let’s say that you’ve spent your $3.99 on a sample vial, know you love the perfume, but just refuse to pay $300 for a full bottle. Well, there are groups who will buy that big bottle, and split it between members. The size of the splits can vary — anywhere from 5 ml to 10, 15, 20 and larger. I will be honest and say that I’ve never personally joined in a split — yet — and something about it terrifies me a little, but it’s supposed to be an incredibly easy method that a LOT of perfume addicts use. All you really need is a Paypal account. Basenotes has a whole forum devoted solely to perfume splits. There is also the lovely Facebook group called Facebook Fragrance Friends which has over a 1,000 members from all over the world, from Singapore to Poland, from Brazil to the U.S. and Canada. I’m part of it, and I think it’s an incredibly fun place to hang out and talk about perfume in general. They are generous people who will often say, “Oh, I have a sample of that. I’d be happy to send it to you.” Plus, members have splits for every kind of perfume imaginable. I hope some of these tips have been useful. My goal was for you to know that perfume is not some terrifying, alien world that is just too complicated and too expensive for you to explore. We all start somewhere! You may not think you have a “nose,” but you might be surprised! Perhaps you’ve just never really thought about what you’re smelling, or put it in a context that your mind understands. I think we all know what peaches or pine trees smell like but, sometimes, we just don’t have the words to describe what our minds already know. If you set out to train your nose a little, the connection between your mind, your memory of already-catalogued scents, and your nose will become stronger. This entry was posted in Fragrances and tagged Beginner's guide to perfumes, how to develop your nose, How To Get Started in Perfumes, making perfume affordable, Perfume groups, perfume samples, perfume splits by Kafkaesque. Bookmark the permalink.